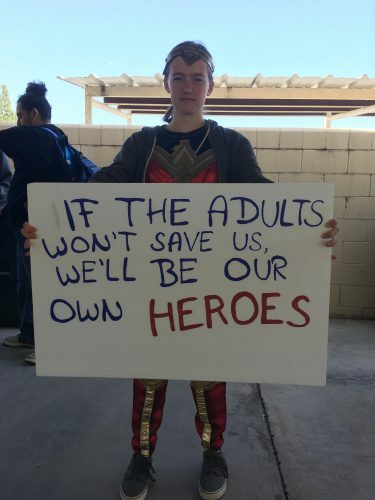 Students from across the country walked out of their classes today to protest gun violence in schools. 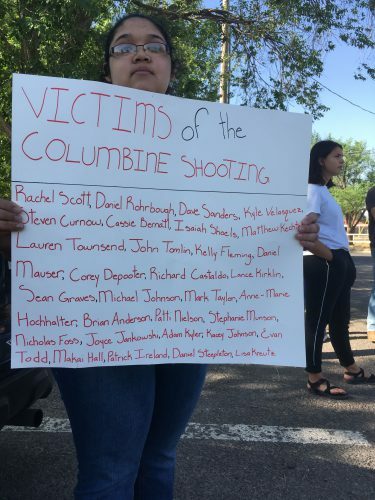 The National School Walkout also marks 19 years since a shooting at Columbine High School that killed thirteen people. 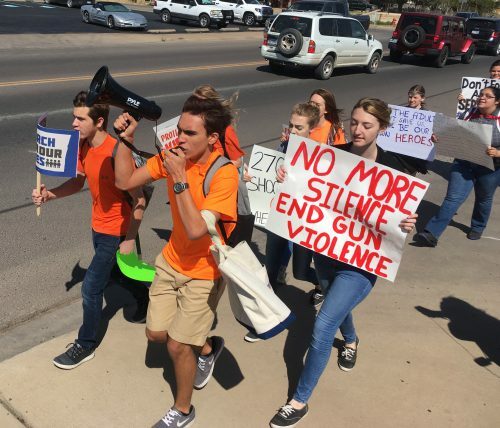 In Alpine, students joined the protest – marching from their campus to downtown – even after the school’s administration said there would be disciplinary action for those that chose to walk out. 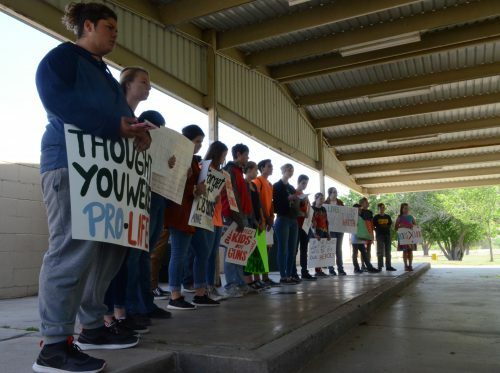 Beginning at 10 a.m. Friday Morning, about 13 students walked out of school towards a nearby park. There, students were joined by other protestors from the community, including Sul Ros University. Marching down 5th street, the crowd of about 30 people received supportive honks and some jeers from passersby. 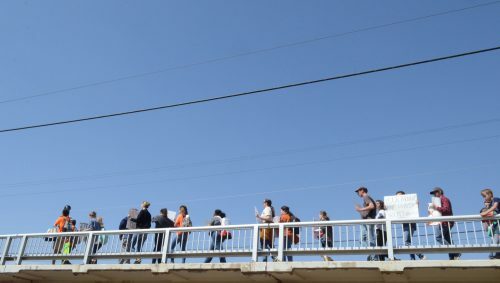 In the days leading up to the protest, administrators told students and teachers that anyone who walked out of school without being signed out by a parent would be placed for 3 days in a DAEP, or Disciplinary Alternative Education Program. It’s a form of suspension in Texas school code that’s mandated for in-school offenses like assault or possessing drugs. It disqualifies students from participating in National Honor Society. 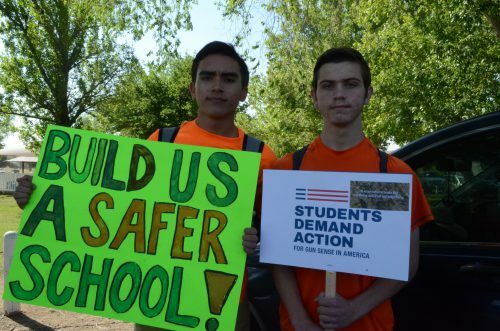 But Monday, school administrators instead issued one day of in-school-suspension to student protestors. Junior Jonah Adams, who organized Friday’s walkout with a handful of other students, says that regardless of the school’s final decision, the threat of DAEP kept other students from participating. 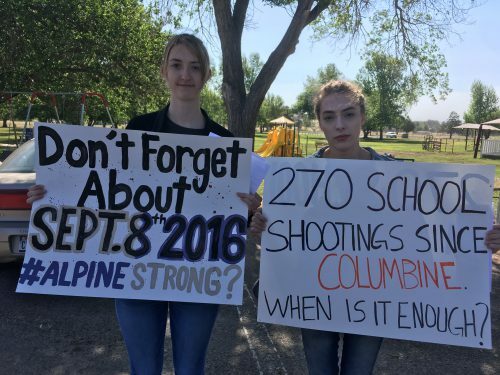 Alpine High saw its own shooting in 2016, when a sophomore shot and injured another student before turning the gun on herself in the bathroom of the school. When the students return to school they face possible disciplinary action from the school’s administration. 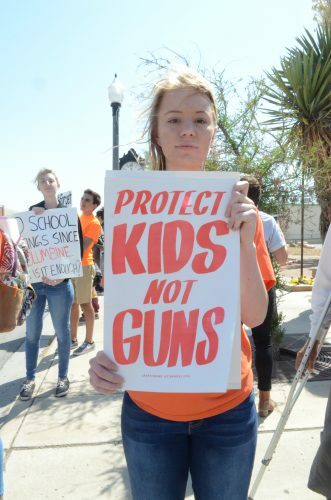 This entry was posted in KRTS News and tagged National School Walkout. Bookmark the permalink.